Strait was born and raised in the Greenwich Village neighborhood of New York, New York. Steven Strait was the lyricist and lead singer for the band Tribe, which has since disbanded. You shouldn't challenge Steven Strait's mother to a fight. She's a practitioner of karate. Steven Strait was married to actress Lynn Collins (X-Men Origins: Wolverine) from December 2007 to 2013. Strait was first interested in sports before turning his attention to acting. Strait worked in modeling, posing for for Details, Pop, Spoon, Surface and Vogue, and commercials in his early teen years. At 14, Strait studied acting at the Stella Adler Conservatory. Strait landed a guest appearance on the TV series Third Watch and from that he obtained an agent, graduated high school, and headed to Los Angeles. Strait's first feature film role was in the Disney superhero movie Sky High which starred Kurt Russell and Kelly Preston. Strait played the rebellious 'Warren Peace', a high school kid with the ability to shoot fire from his hands. Impressively, Strait landed the role in his very first film audition. Next, Strait joined pop star/aspiring actress Ashlee Simpson (Jessica's younger sister) in the romantic movie, Undiscovered. Strait showed off his vocal talents as a rock star looking for fame in that film and was featured on seven songs on the soundtrack album. Unfortunately, the film was one of the biggest box office bombs of all time. Strait also performed "One Thing Leads to Another" on the soundtrack of Sky High, a cover of the 1982 song performed by The Fixx. Strait then turned to the horror genre for his next role. Strait increased his fanbase with his starring role in The Covenant in which he played high school student with supernatural powers. He performed most of his own stunts in the film. 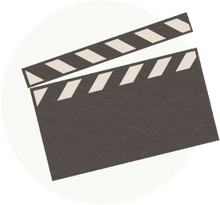 Additional credits include the lead role in Roland Emmerich's big budget historical epic 10,000 BC, a bit part in Stop-Loss, a starring role in City Island, and Sleeping with the Fishes for writer/director Nicole Gomez-Fisher. Strait also has had success acting on television. He currently stars on the Syfy series The Expanse with Thomas Jane, Cas Anvar, and Dominique Tipper. On joining the series, which marked something of a career resurgence for Strait, he told SciFi and TV Talk, "When I was sent the script for The Expanse and started reading it, I was blown away by the adaptation that [executive producers/writers] Mark Fergus and Hawk Ostby had come up with,” says Strait. “It was such an incredible piece of writing and I immediately knew I wanted to be involved. I was a big fan of the books [The Expanse series of novels by James S.A. Corey]; I’d read the first two, and because it’s such a large world, I knew that it would be a very ambitious undertaking to visually bring it to TV. However, as soon as I saw Mark’s and Hawk’s names on the script, I knew that if anybody could do it, they could. We also had Terry McDonough, who directed quite a few episodes of Breaking Bad, and was directing the first two episodes of The Expanse. Meanwhile, in the writers’ room, there was a group of writers whose credits included everything from Mad Men to The Killing. There was just this incredible pedigree of people involved, and I was really excited to try to convince them I should be part of the team."